June guards our present day from travelers from the future. She's the only one around who can keep up with their advanced technology and send travelers back to their own time. She's seen all there is to see when it comes to travelers from the future coming to our time and messing everything up. Now, someone's killing young men and stealing their youth. And as the body count grows, it's up to June to hunt the hunter and send him packing. 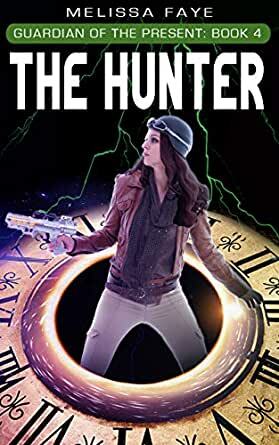 But the more she learns about the mysterious hunter, the more she realizes just how much danger her loved ones are in. The Hunter is Book 4 of Guardian of the Present, an eight book series of novellas that will appeal to fans of Buffy, Veronica Mars, and Looper. Buy The Hunter now! It's about time.